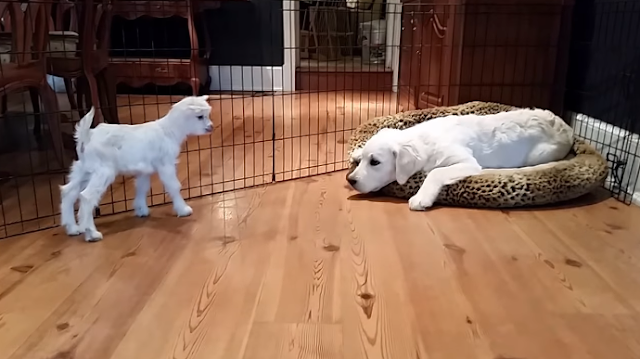 I can’t stop watching… too funny and too cute! OMG, I can’t handle the cuteness. 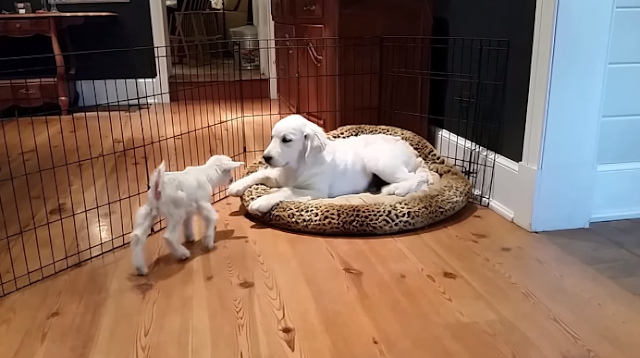 This dog however, I think he’s more confused than overloaded with how cute this 4 day old baby goat is, but he’s trying his best to be a good friend. 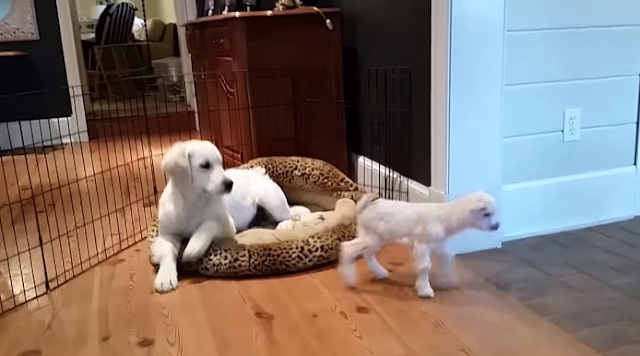 The 4 month old puppy must have thought this weird looking creature in front of him is some strange dog and was trying to get it to play with it. The goat however had little interest in dog games but that didn’t let this beautiful dog stop attempting. We loved this amazing friendship so much we just had to share it.